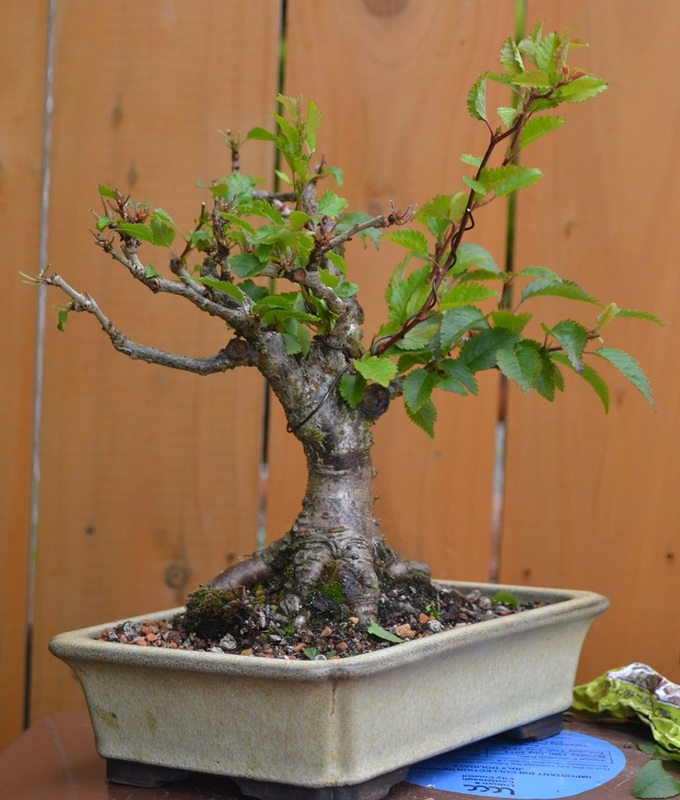 I was afraid that I had lost this Fuji Cherry last summer when it was preyed upon by devouring caterpillars and the foliage withered. 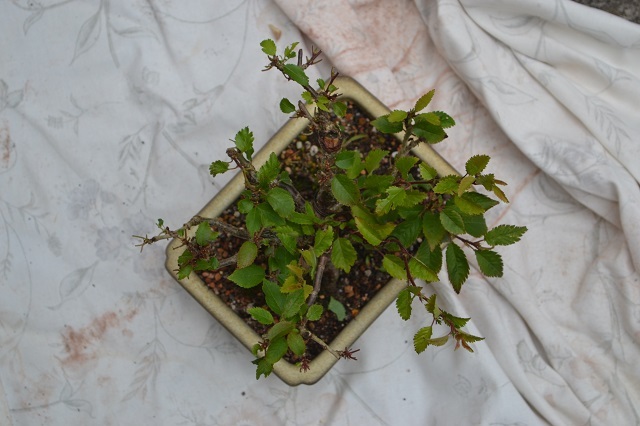 Flower buds are appearing so its definitely not dead! I removed the weeds and gave it a light 0 nitrogen feed so hopefully that’ll give it a wee boost. 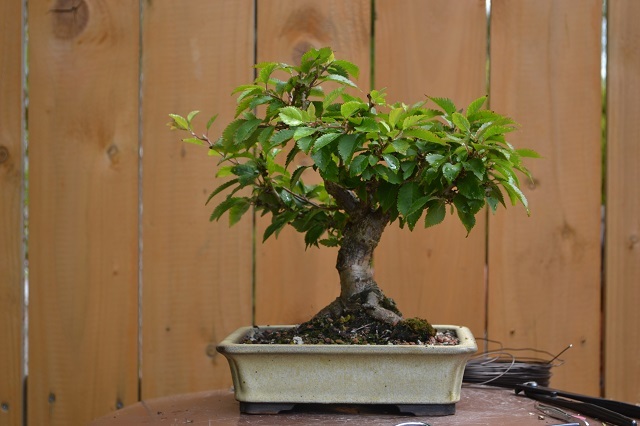 Recently I’ve been thinking a lot about flow, direction, the more artistic side of bonsai and how my trees measure up when evaluating them from a more artistic point of view. 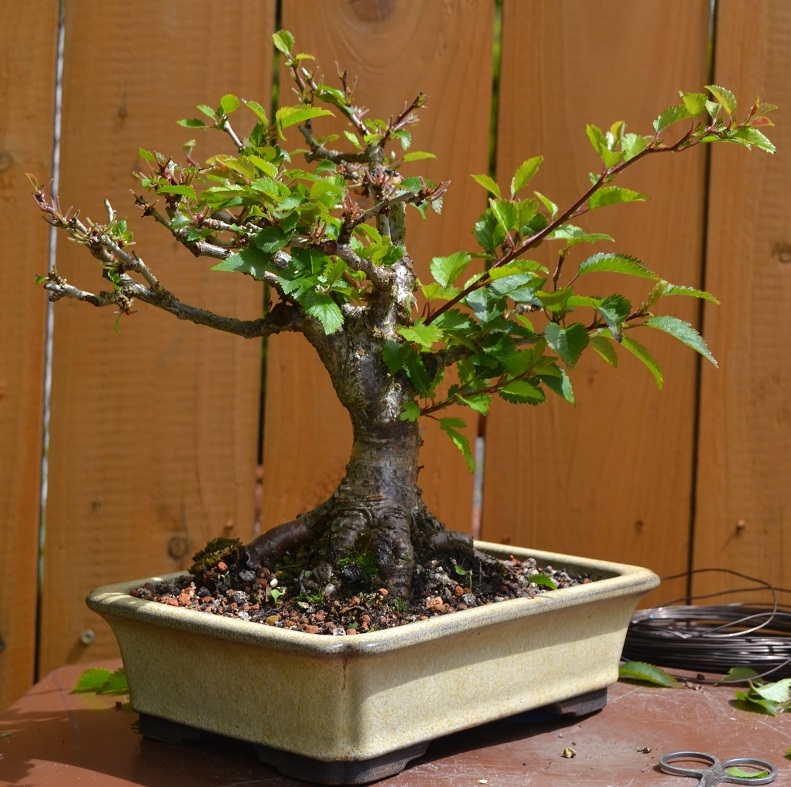 With a few of these concepts in mind, I decided to defoliate most of my shohin Fuji Cherry so that I could better see how the branch structure is developing. 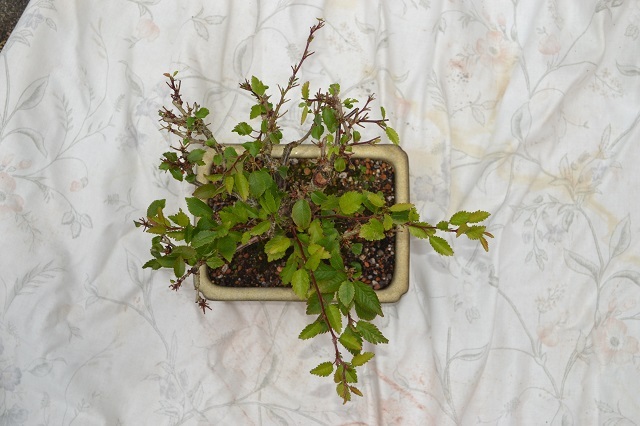 I decided to remove most of the leaves from the older, thicker branches and especially those coming forwards. I want to promote more growth towards the back and I also want this year’s new shoots to thicken as quickly as possible so they were left untouched. Defoliation mostly complete. A birds eye view. 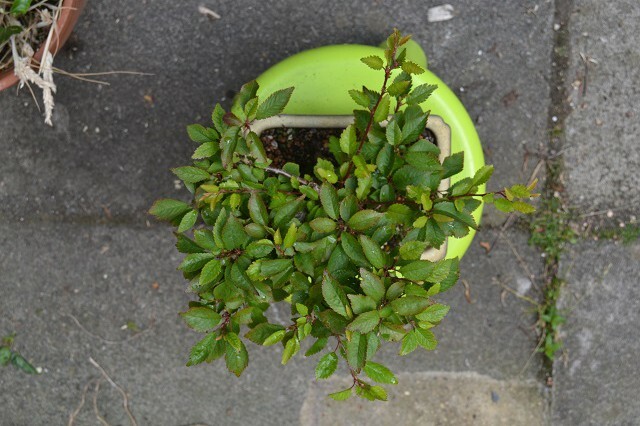 I then pruned back branches that didn’t need thickening and thought about a new front for repotting next year. I realised that instead of most branches coming towards or away from the viewer, I could rotate the tree to alleviate this problem. 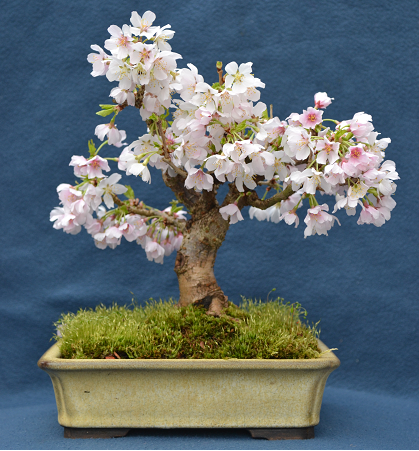 A new front showing the best nebari and foliage more evenly spread forwards and backwards. Last thing to do was loosely wire the new shoots into a better space. A lot of work to do with this tree to get the new branches thick enough and then suitably ramified but for the moment I enjoy the flowers in Spring and the leaf colour in autumn. It’ll be a good while before it’s suitable for winter display.